Bishop Peter is attending the annual Fall Synod of Bishops meeting in New York. His Grace is a permanent member of the Synod of Bishops. 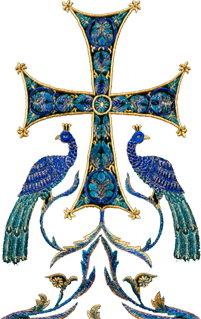 The council meets each year around the feast of the Kursk Root Icon, which is the patronal feast day of the Synodal Cathedral. 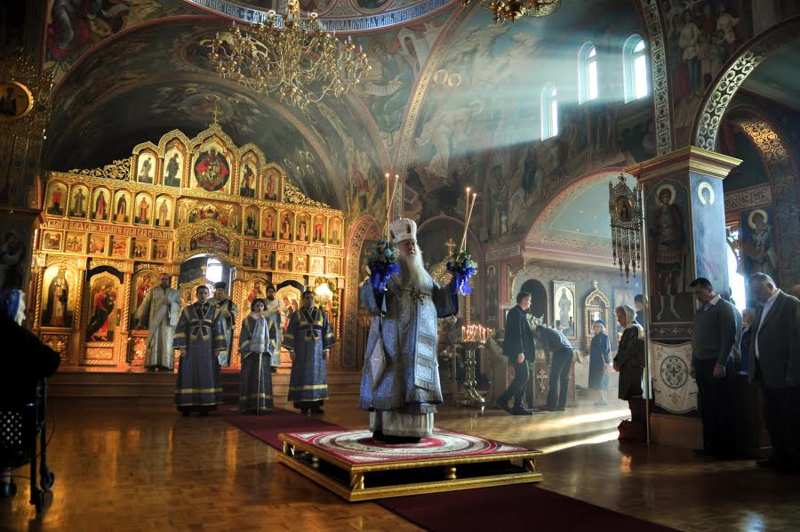 On December 5-6th, 2015, at the invitation of His Eminence, Metropolitan Hilarion, Bishop Peter led the divine services at St. Alexander Nevsky Diocesan Cathedral in Howell, NJ for the cathedral’s patronal feast day. 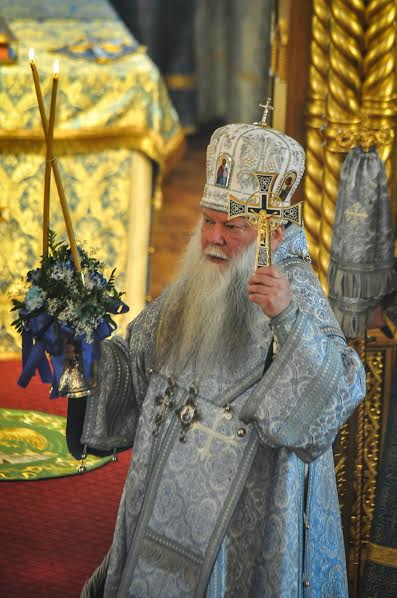 His Grace was co-served by cathedral clergy: pastor emeritus Protopresbyter Valery Lukianov, dean Archpriest Serge Lukianov, Archpriest Boris Slootsky, Priest Seraphim Chemodakov, and Protodeacons Nicholas Lukianov, Leonid Roschko, and Paul Drozdowski. After the Liturgy, Fr. Serge Lukianov greeted His Grace, thanking him on behalf of the clergy and faithful for his archpastoral visit – Bishop Peter’s first visit to St. Alexander Nevsky Diocesan Cathedral in the hierarchal rank. Fr. Serge Lukianov asked Bishop Peter to relay best wishes to Archbishop Alypy of Chicago and to all of the brethren of the neighboring Chicago and Mid-America Diocese. Pictures courtesy of Media Office of the Eastern American Diocese.